There are many tales and accounts of fire-breathing dragons all over the world. But in Florida where I live, there's an urban legend of a fire-breathing alligator. This Super Gator is reportedly 50 feet long! Can you believe it? Obviously, such a creature would be a man-eater (or woman-eater for that matter). If anyone has seen one, please let me know. I'd be very interested your hearing the story. 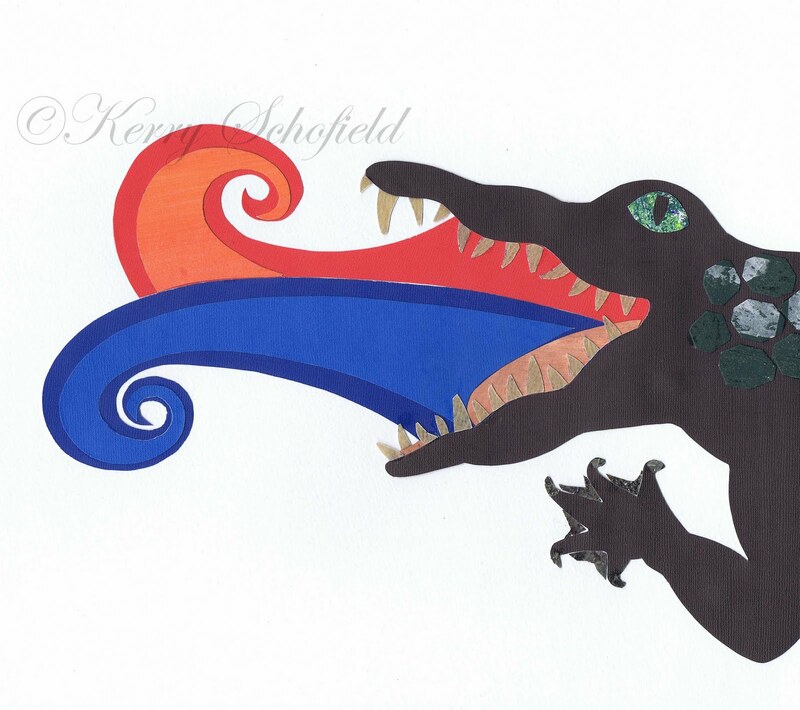 The most time-consuming and intricate part of making this collage was cutting out all those teeth! Each one is cut from a vintage paper lamp shade that had faded over the years. The spotted black and white stray cat scurried up the stairs to the second story flat. It stood on tall, lanky legs that supported a boney frame. Its face was scruffy and one eye blinked smaller than the other. By the outside door, two large potted plants hid water and food. It bowed down by the pretty yellow bowl with painted fish and crunched away hungrily at the dry meal. In a perfect world, all the stray neighborhood cats would have homes to live in when it's cold and raining and plenty of food to eat and water to drink. This is an original pencil drawing, which is "colored" with collaged tissue and hand-painted papers. 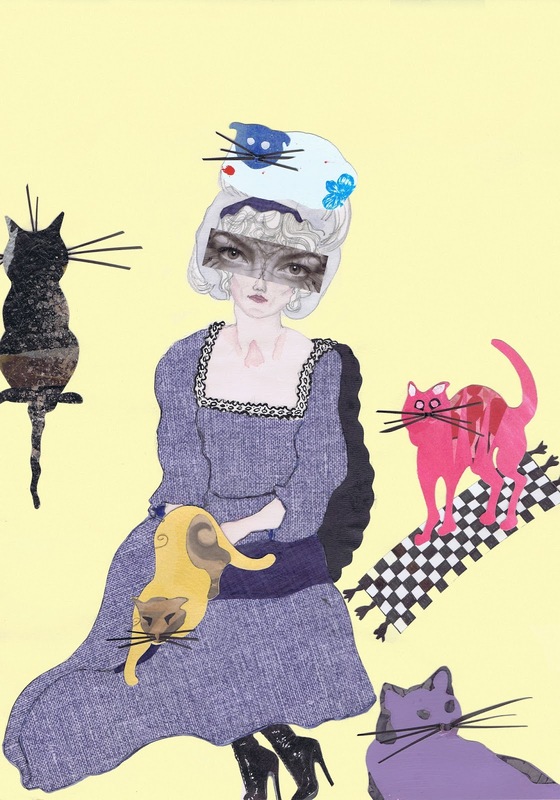 The cats are cut from original pencil sketches and collaged with various papers.